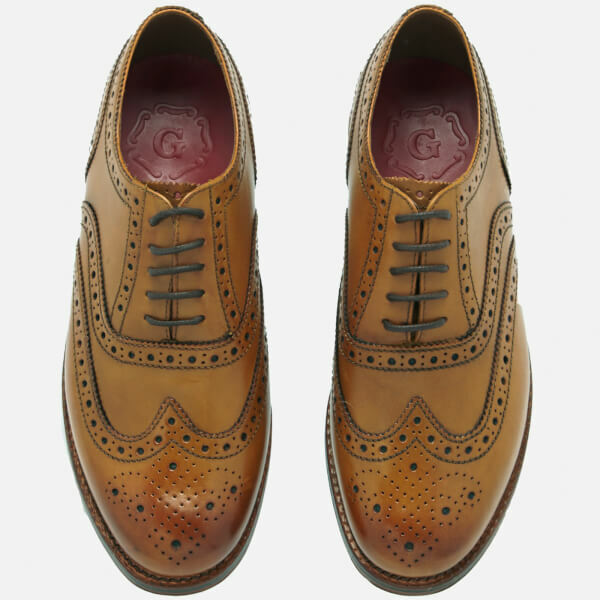 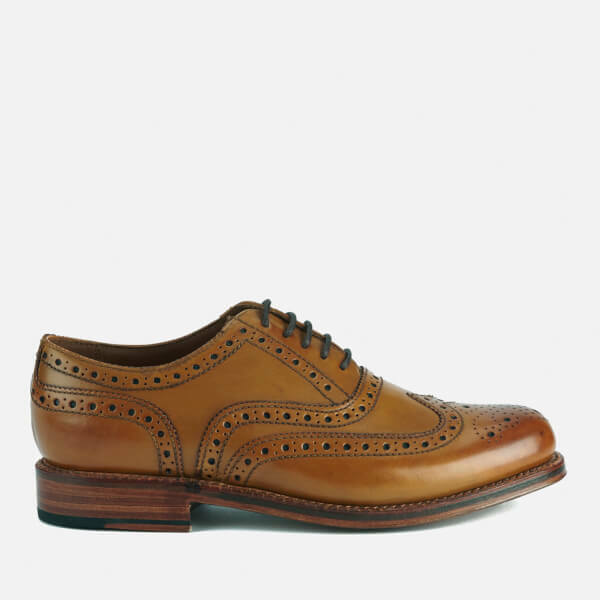 Grenson ‘Stanley’ Leather Brogues with a premium tan calf leather upper and a triple stacked leather sole. 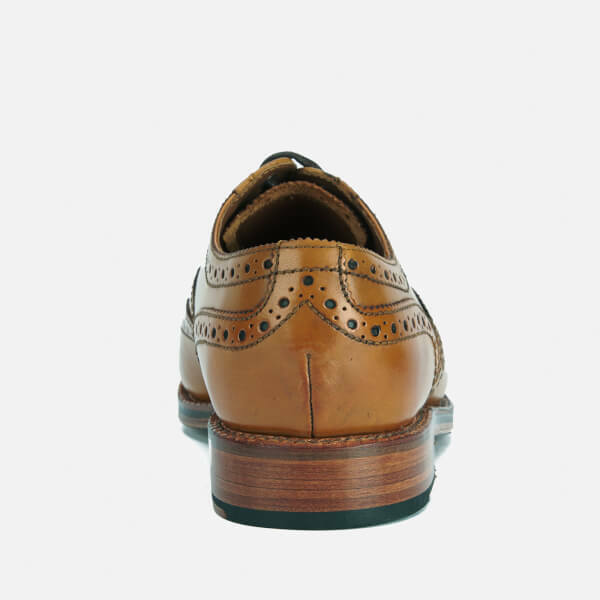 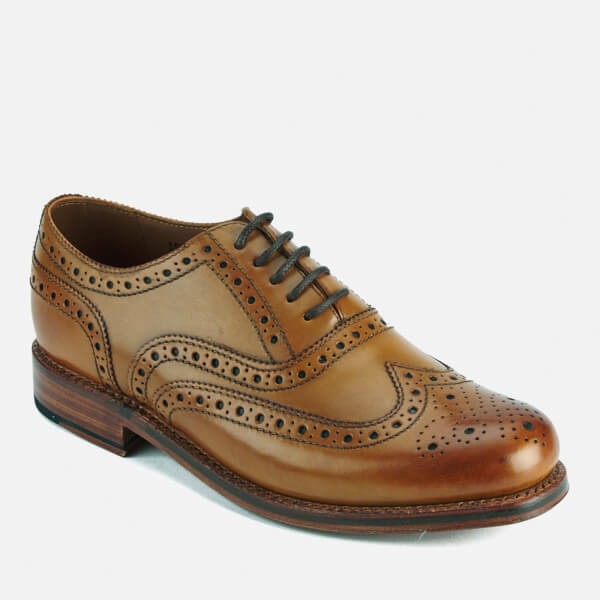 Fastened with waxed leather laces, the traditional Oxford, round toe upper features an oversized brogue pattern, signature serrated edges and wingtip detail around the toe. 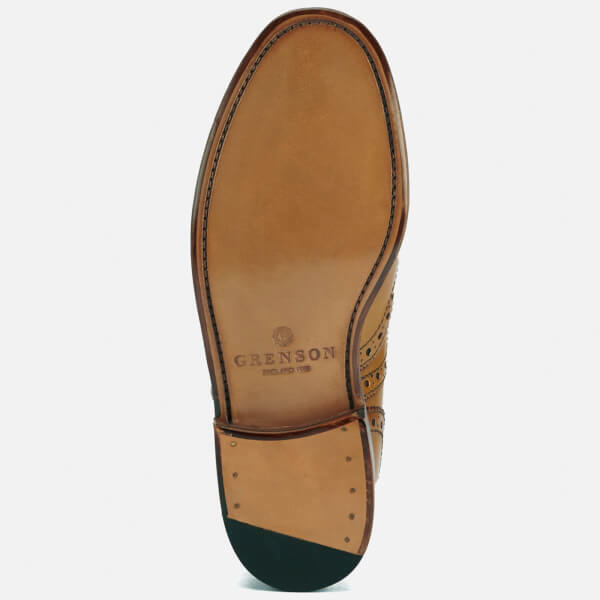 The men's shoes are complete with a comfortable red leather insole and an embossed Grenson logo. 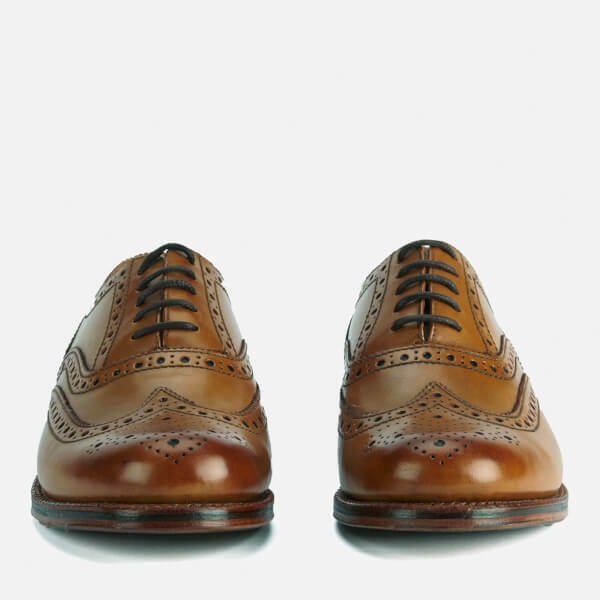 - A.D.
great shoes, great service, right size and comfortable.